DALE DRAKE was one of the sons of J.A. Drake & Sons, manufacturers of Jadson valves. Drake arranged for Jadson to sponsor Louis Meyer’s Miller race car in 1931, which finished fourth after it was started by Myron Stevens and later taken over by Meyer when his original car dropped out of the race. In 1932, Drake was riding mechanic for Meyer in Alden Sampson’s twin-engine Miller. A member of Meyer’s winning pit crews in 1933 and 1936, Drake later developed the Drake engine for midget racing. In 1945, he and Meyer purchased the Offenhauser engine business. 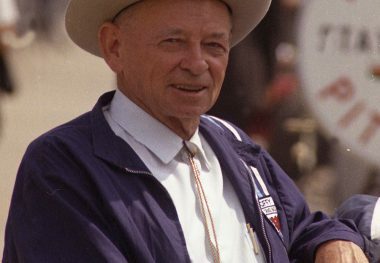 Meyer-Drake Engineering proceeded to win every Indianapolis 500 race from 1947 through 1964, plus countless National Championship races. 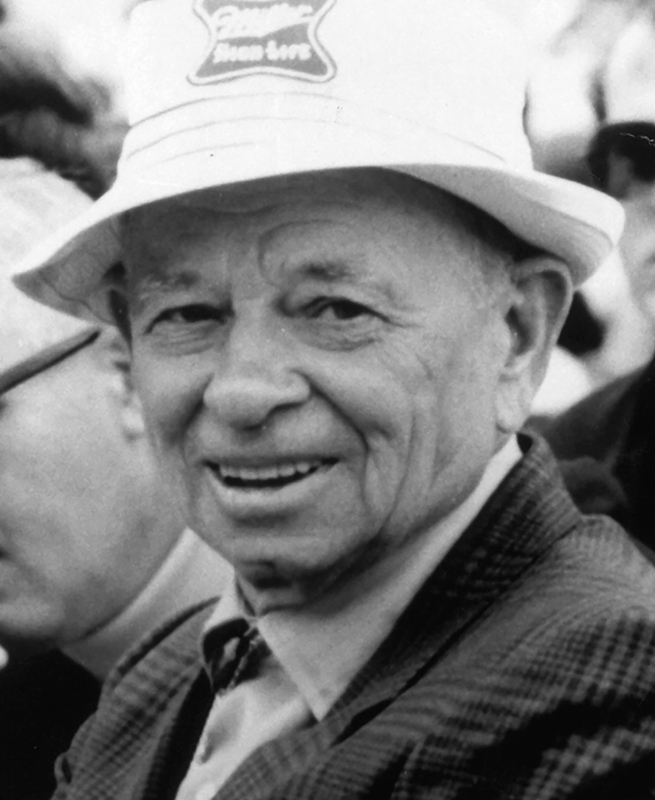 In 1965, Meyer sold his interest to Drake when he took over distributorship of Ford’s Indianapolis 500 race engines. Drake Engineering’s Offenhauser engine remained a formidable competitor, however; it won the Indianapolis 500 in its turbocharged form in 1968 and from 1972 through 1976.